Strahl offers stylish tableware made of high quality polycarbonate- a remarkable material that has the weight, clarity and brilliance of fine crystal with the added advantage of being virtually unbreakable. All Strahl products are hand finished to give each piece its signature radiance. Strahl is the ideal choice for every situation where you don't want to sacrifice style, but breakage could be a problem: barbecues, poolside, on a boat, or for everyday dining. 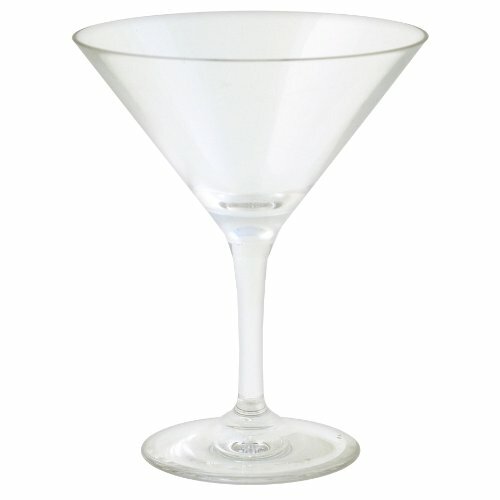 Strahl beverage ware does not shatter, making it an ideal and extremely safe alternative to glass. Entertaining is easier with Strahl, all products are microwave and freezer safe, (perfect for chilling glasses and storing pre-made nibbles and desserts), and dishwasher safe (top or bottom rack), for easy clean up. If you have any questions about this product by Strahl, contact us by completing and submitting the form below. If you are looking for a specif part number, please include it with your message.